Collection of famous Okinawian proverbs, true sayings and wise words. Use words and image sayings to keep you moving forward! 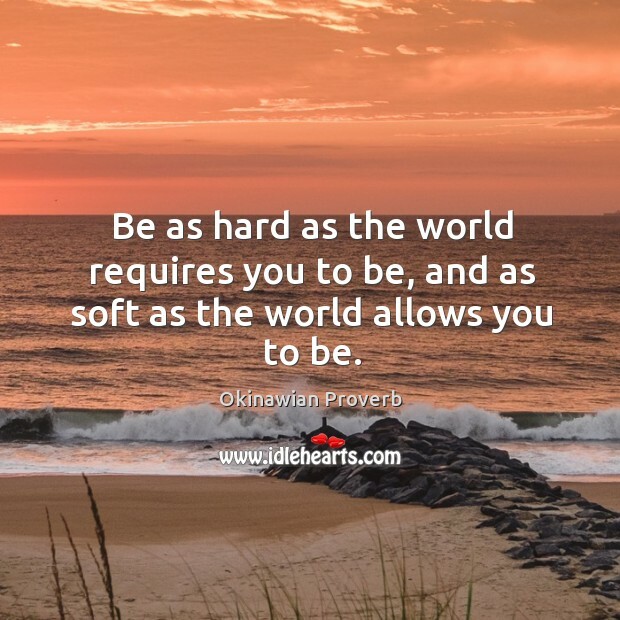 Be as hard as the world requires you to be, and as soft as the world allows you to be.